Join us for the 33rd annual Bike MS: Arizona! Whether you're an avid road cyclist, trail rider, bike enthusiast, chance rider, casual rider or any level - Bike MS will be the ride for you. Come experience our beautiful routes starting at McDowell Mountain Regional Park with options to either ride on the road for various longer distances, on the inner-park paved short route, or experience our newest addition: the Pemberton Loop trail ride option! At the end of the day, riders will enjoy beautiful views of the surrounding mountains and camping beneath the desert stars and sky. It’s a weekend full of fun and festivities! With amenities such as free camping or RV space, a hot shower truck, fully-stocked rest stops, free meals, a beer garden, live music, contests, and fun…you are in for the experience of a lifetime! Don’t wait to register the fun begins now with contests and pre-ride festivities leading all the way up to event weekend. By being a part of Bike MS, you will be supporting the #1 two-day fundraising series in the nation and supporting The MS Society in its’ mission to end Multiple Sclerosis forever. The MS Society is the nation’s largest private donator to MS research. 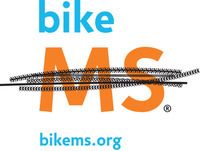 Bike MS is The Society’s largest fundraising event series. Your participation makes a difference. Thank you in advance for your support. Let’s get ready to Roll!